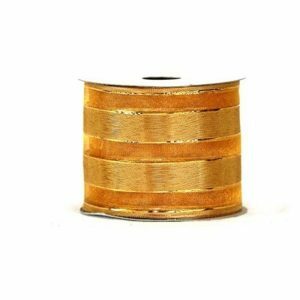 The 9-metre length of this Xmas Stocking Taffeta Ribbon is an item you will use frequently in your holiday displays and decor. 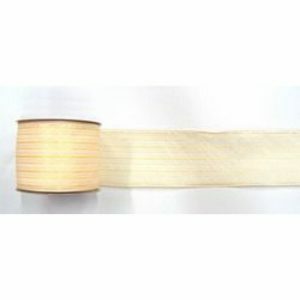 Measuring a generous 7cm in width, this ribbon features a wire-edge which keeps your bows and trims in place, full and beautiful. 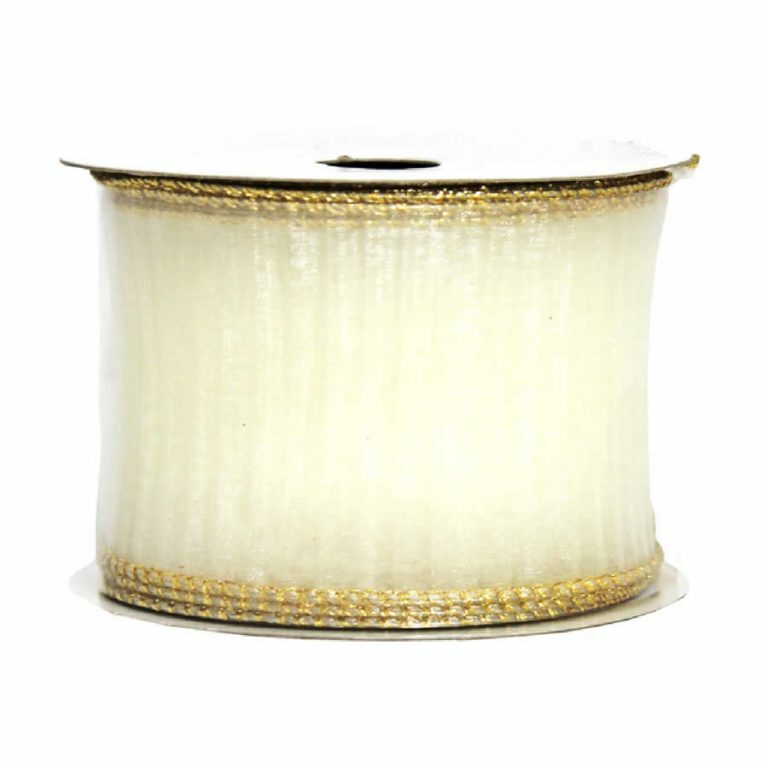 This is the ribbon that you want for your special holiday wreaths, or to give your Christmas tree a finished and refined look. This ribbon is a heavenly white hue, edged with red zig-zag trim. 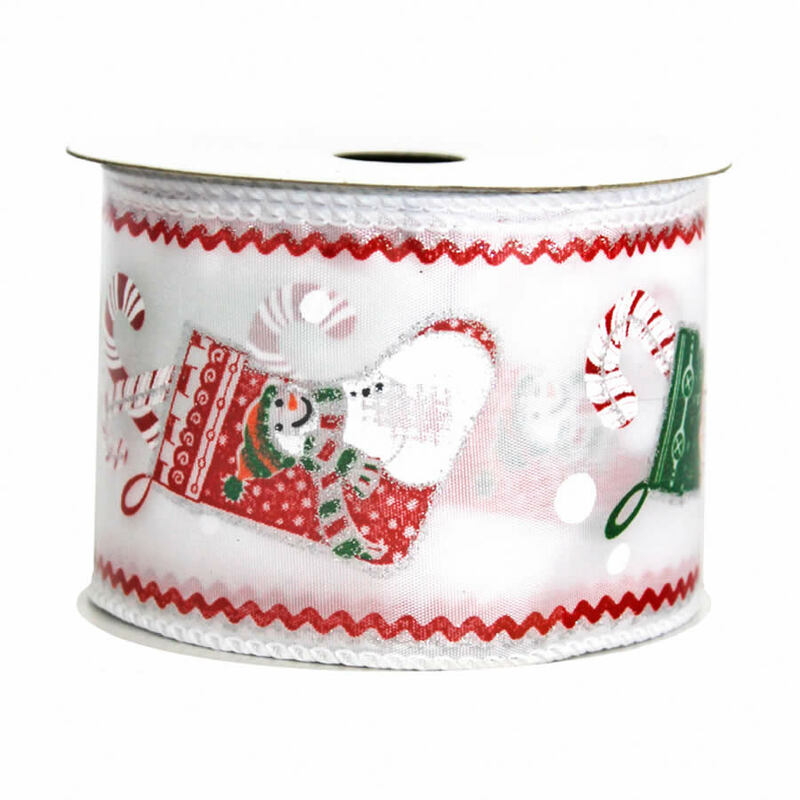 The pattern embossed on the ribbon depicts a snowman against red holiday stockings. There are plenty of silver accents which add light and shine to the fabric. This would look stunning against the rich green of a balsam wreath, the icy white of an aluminium tree, or a black glossy banister. 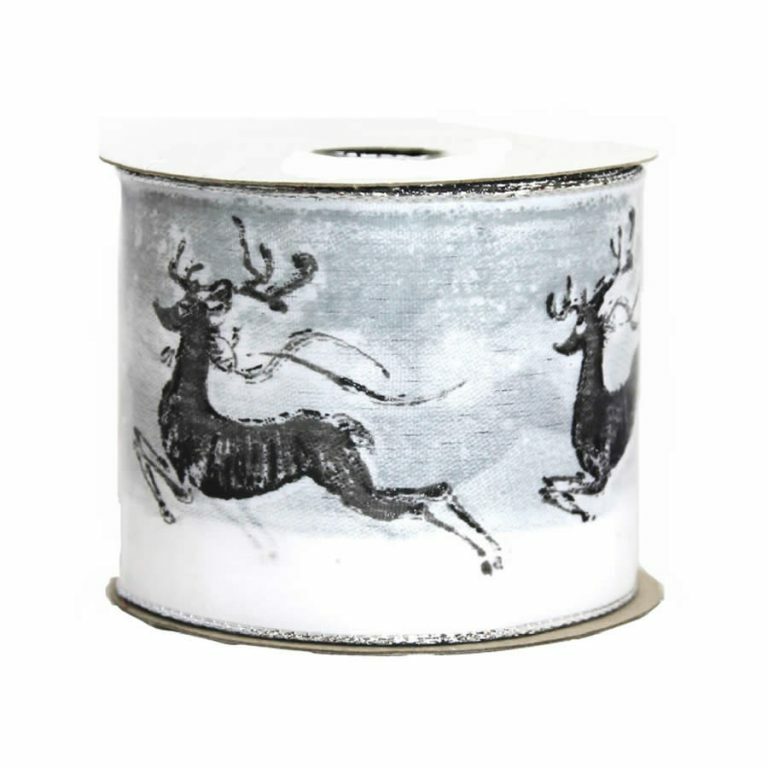 Wrap, drape, twist, or hang this fantastic ribbon wherever you want to add some holiday cheer.